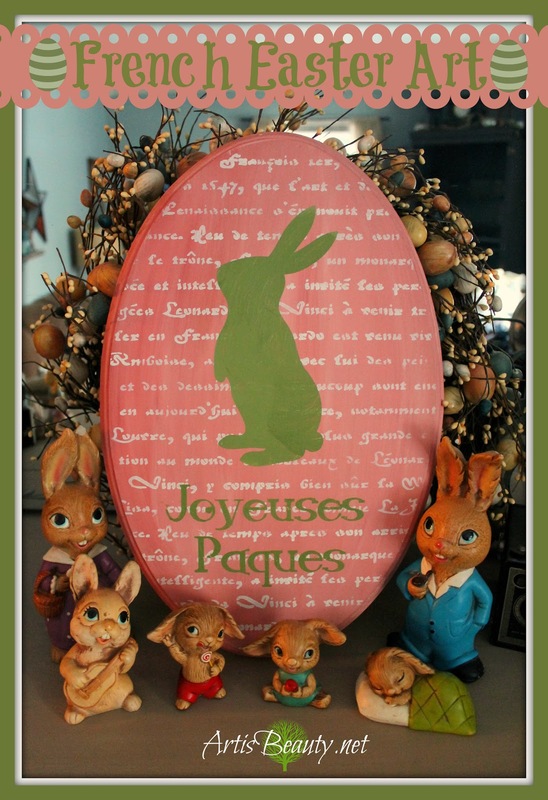 how you can make some fun French Easter Art! 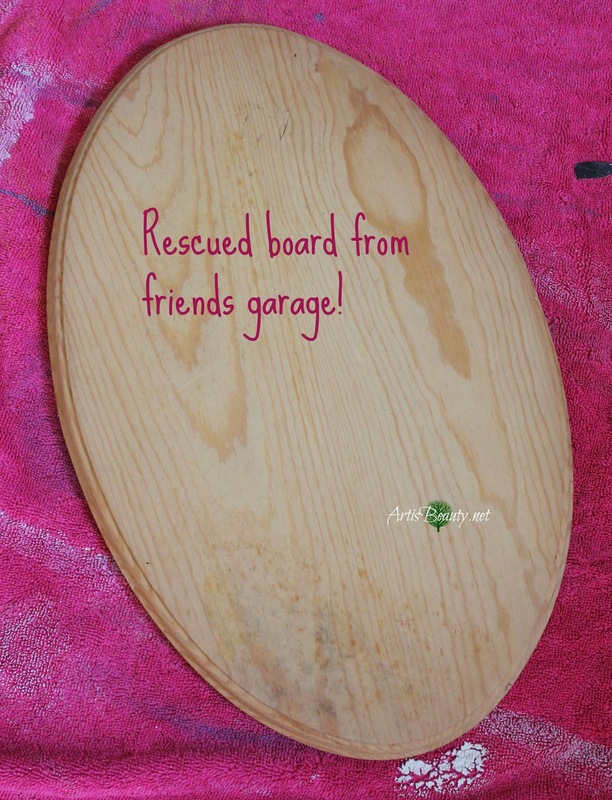 of craft boards a friend had me rescue from her garage. 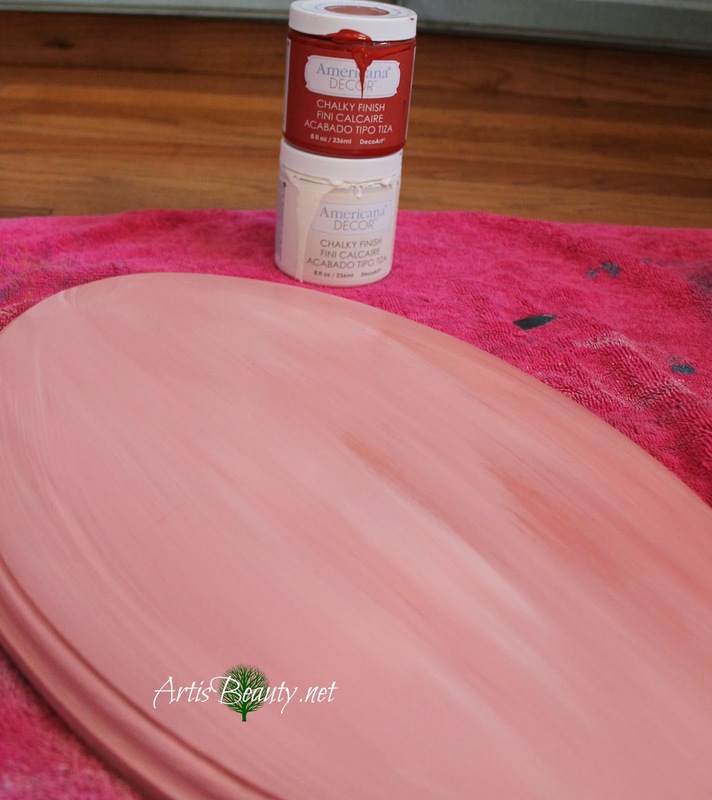 I grabbed my Americana Decor paint and mixed up a little custom paint. I wanted a slight pink..not to much..so I didn't mix all the way. I wanted it to look blended on the board.. I used the colors Camel and Lace. I loved that it was PINK but not TOO pink. 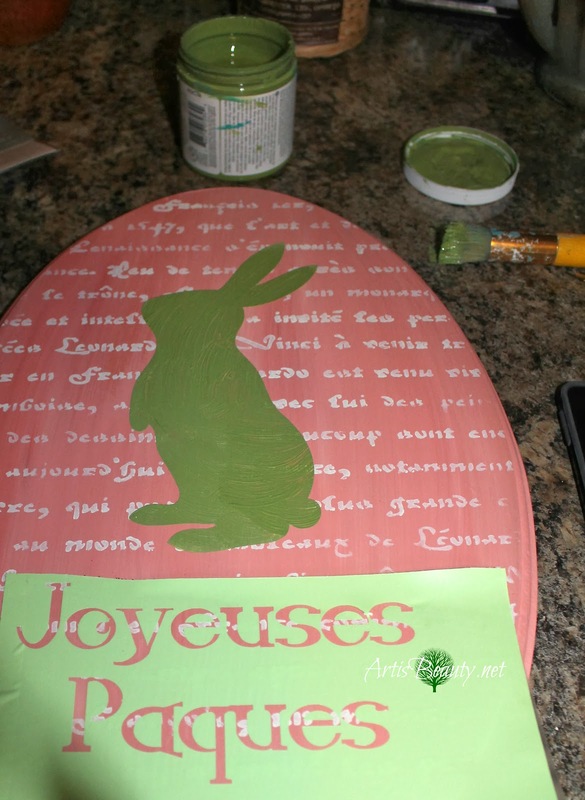 When the paint was dry I used Americanas French script stencil for my background. 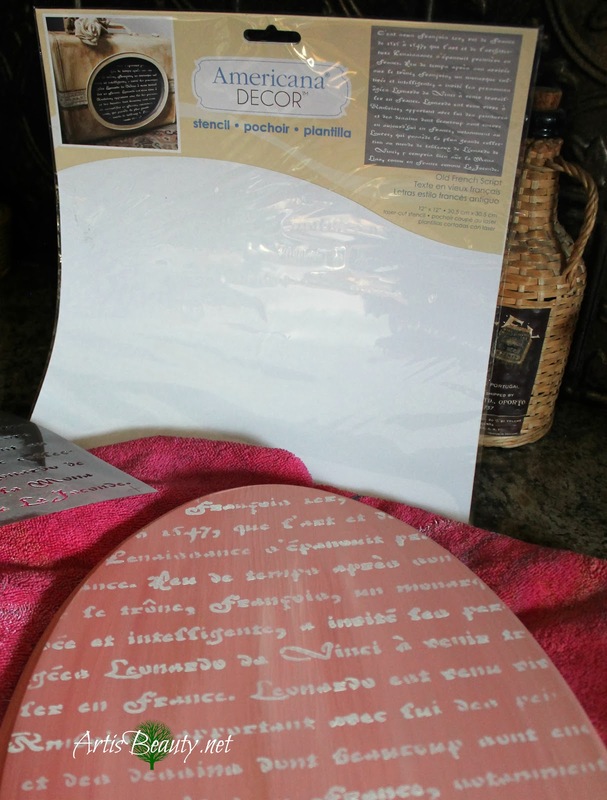 I used my stencil brush and the LACE chalky finish paint to stencil on my script. I was in love already and was loving how the paint was working all together. I thought it went perfect with the french script stencil. and now my kids get to grow up seeing it on my mantle....THAT IS...if they or I don't break it.. IT SHOULD in theory...make it here!